With the official launch of Take On Mars penciled in for June, here are some more details on our development schedule for 2015! 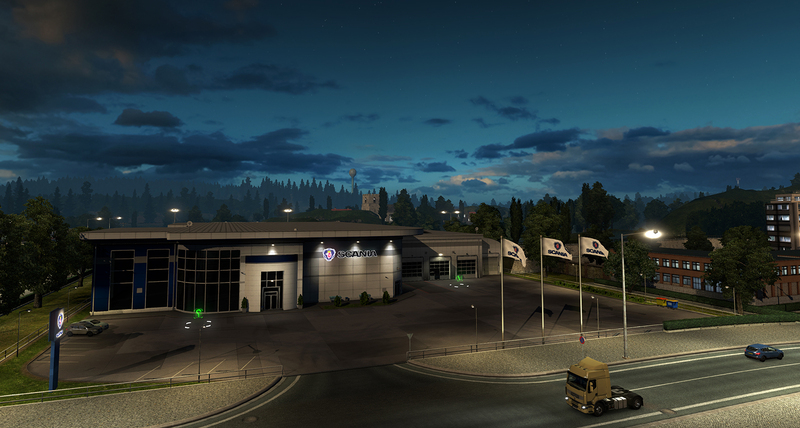 Euro Truck Simulator 2: update 1.16 – Going 64-bit! This update resolves several issues reported to us by the community and will be automatically applied to your software via the Steam platform. If the update does not start automatically please restart your Steam client. The FSX:SE splash screen with show 62608 for the new version and the official version number is v10.0.62608.0. We are pleased to announce a new update coming soon for Microsoft Flight Simulator X: Steam Edition. This up date resolves several issues reported to us by the FSX: Steam Edition community and will be automatically applied to your software via the Steam platform once it’s released. • Networking: Resolved – potential crash bug when decoding Steam host tag data. • Error Reporting: Resolved – error message if the software failed to load the language.dll so that it shows the name of the actual dll it is trying to load. • Learning Centre: Resolved – when selecting a mission from the Learning Centre, you would be told that the mission script failed to load and would be disabled. • Learning Centre: Changed – the Learning Centre still referenced a GameSpy logo – now replaced with Steam logo. • Graphics: Improved vertex and index buffer handling defaults and a few other things to give up to 10% framerate improvement (as long as vsync is not enabled/forced). • Graphics: Change – Enable trilinear mipmap filtering by default. • Graphics: Resolved – If the Special Effects setting was set to HIGH, some special effects like external lights, landing/water effects would not work. • Graphics: Changed default value for max per-frame texture uploads to decrease time for high quality terrain textures to appear. • Settings: Resolved – HIGHMEMFIX was enabled by default but could very rarely be disabled at load time. • For new installs, we now provide default versions of dll.xml and exe.xml files to improve compatibility with existing addons. We are continuing to monitor your feedback on FSX: Steam Edition and would like to thank the community for taking the time to report these and other issues. We know that we have not fixed all of the reported issues, but we continue to work to improve the product in the coming weeks. FVA – ის ოფიციალურ გვერდზე www.ferrarivirtualacademy.com იუწყებიან, რომ FVA შეწყვეტილია სერვისი. შესაბამისად გაყიდვა, ან სხვა სახის მომსახურება მიუწვდომელია. 2014 was a busy and productive year for Eagle Dynamics with the continued development and improvement of DCS World. A key element of DCS World has been the creation of an air combat simulation experience that spans several decades… from World War II to the modern day. Although we started with modern day aircraft, 2014 has allowed us to expand into the World War II, Korean War, and Vietnam War periods. Most noteworthy has been the rapid development of the DCS: World War II line of aircraft that now includes the P-51D Mustang, Fw 190 D-9 Dora and the Bf 109 K-4. Work is already underway on the Spitfire IX and P-47D for 2015. Additionally, we’ve been able to use 2014 to further improve our line of Flaming Cliffs 3 aircraft with the addition of a 6 DOF cockpit and professional flight models for the Su-27. While Eagle Dynamics has certainly been busy, our 3rd party partners have been equally so! With the release of a Professional Flight Model for the F-15C and the F-86F by Belsimtek (MiG-15bis in development), the MiG-21bis by Leatherneck Simulations, the Hawk by VEAO Simulations, and the C-101 by AvioDev nearing completion, we’ve taken great steps in 2014 to expand DCS development to our partners. Behind the scenes, we have been very busy in 2014 developing DCS World 2 with an all new graphics engine and support for new maps such as the Nevada Test and Training Range (now in Pre-Alpha testing), Strait of Hormuz, and Normandy 1944. We realize that having appropriate theater maps is a critical aspect of moving the series forward. 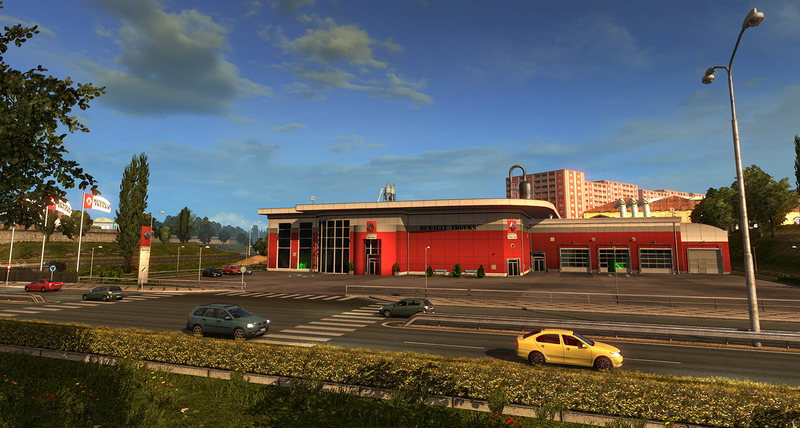 This development work in 2014 will allow us to release DCS World 2 and new maps in 2015 and bring the DCS World to the next level. As a little New Year’s gift, here is a compilation of video segments I recorded while doing NTTR testing. This video is by no means polished and is already rather dated by several weeks. However, I thought you might like to see a rather more detailed look of where we are going in 2015. Best wishes and Happy New Year from myself and the rest of the The Fighter Collection and Eagle Dynamics Team!